﻿ ﻿﻿ The Research & Development (R&D) Tax Incentive in Australia is a targeted, generous and easy to access entitlement program that helps businesses offset some of the costs of doing R&D. The program aims to help more businesses do R&D and innovate. It is a broad-based entitlement program. This means that it is open to firms of all sizes in all sectors who are conducting eligible R&D. ﻿﻿﻿1. How does the R&D Tax Incentive work? 2) a non-refundable 40 per cent tax offset (equivalent to a 133 per cent deduction) for all other eligible R&D entities. With effect from 1 July 2014, a $100 million threshold applies to the R&D expenditure for which companies can claim a concessional tax offset under the R&D Tax Incentive. For any R&D expenditure amounts above $100 million, companies will still be able to claim a tax offset at the company tax rate. In the 2015-16 Budget released on 12 May 2015, the Australian Government reiterated its intention to change the rates of assistance under the R&D Tax Incentive to 43.5 per cent for eligible entities with a turnover under $20 million per annum and not controlled by a tax exempt entity and 38.5 per cent for all other eligible entities, to apply from 1 July 2014. The Government indicated in March 2015 that it remains committed to re-introducing legislation to change the rates of assistance. The rates of assistance currently legislated are 45 and 40 per cent respectively. 2. What is the difference between a refundable and non-refundable tax offset? Tax offsets are applied directly to a company’s income tax liability to reduce the amount of tax they have to pay. The 45 per cent R&D Tax Incentive will be a refundable tax offset, which means that if a company’s tax liability is reduced to zero, companies may be entitled to a refund of any unused offset amount. The 40 per cent R&D Tax Incentive will be a non-refundable tax offset, which means that companies cannot access a refund for any unused offset amount if their liability has been reduced to zero. However, any excess offsets may be carried forward for use in future income years. 3. How do the R&D Tax Incentive and R&D Tax Concession compare? 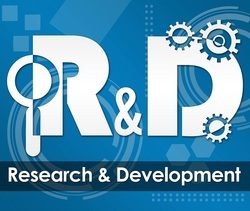 4) a clearer definition of research and development activities. 4. Who will be eligible to claim the R&D Tax Incentive? 3) foreign companies resident in a country with which Australia has a double tax agreement and that carry on R&D activities though a permanent establishment in Australia. This represents an expansion on the kinds of entities that were eligible for the R&D Tax Concession. Expanding access for foreign corporations ensures the R&D tax provisions do not discriminate against foreign corporations which are permanent Australian taxpayers. 5. Who will administer the R&D Tax Incentive? Innovation Australia is an independent statutory body established to assist with the administration of the Australian Government’s innovation and venture capital programs designed to support industry innovation. This includes administration of the R&D Tax Incentive. The R&D Tax Incentive is jointly administered by AusIndustry (on behalf of Innovation Australia) and the Australian Taxation Office (ATO). 6. How will the R&D Tax Incentive operate? Like the R&D Tax Concession, companies will be required to register annually with AusIndustry before being able to claim a tax offset. Companies will need to register eligible R&D activities no more than 10 months after the end of the income year in which the activity occurred. Activities conducted in income years that commenced prior to 1 July 2011 will be registered and claimed under the R&D Tax Concession. Activities conducted in income years that commence from 1 July 2011 onwards will be registered and claimed under the R&D Tax Incentive. 7. What activities are eligible under the R&D Tax Incentive? Qualifying R&D activities must be divided between ‘core’ and ‘supporting’ activities in the registration documentation. 3) that are conducted for the purpose of generating new knowledge. 2) in some cases, only activities that are undertaken for the dominant purpose of R&D. 8. Does the R&D Tax Incentive support activities conducted overseas? Generally only R&D activities conducted in Australia or the external Territories qualify for the R&D Tax Incentive. However in certain circumstances, R&D activities conducted overseas may also qualify. To be eligible for this benefit, companies must apply to AusIndustry. This feature of the program recognises the fact that Australia does not always have all the necessary R&D expertise and facilities to meet industry needs, and that research is increasingly global in nature. Applications for Overseas Findings must be submitted during the income year in which the company first wishes to claim the expenditure on those activities. For companies that balance on a standard income year this will be before 30 June. Late applications cannot be backdated and no extensions of time can be given under the legislation.